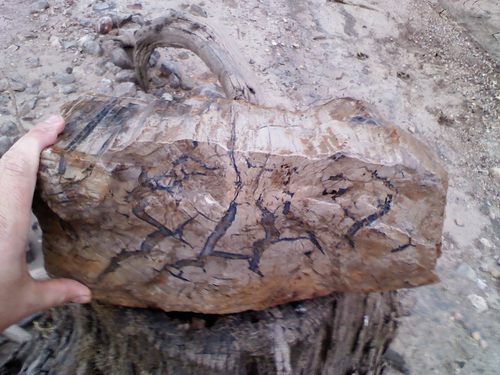 nearly in situ block of petrifies wood with great blue agate seams throughout. 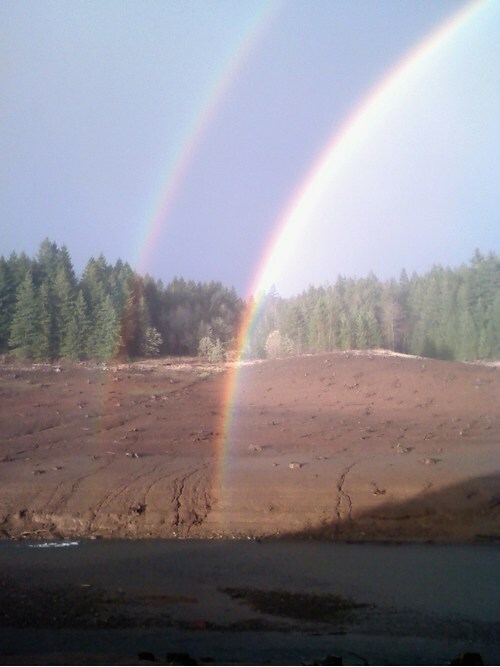 Picture taken at the diggings on a tree stump inside Lookout Point resivoir, Oregon. This rainbow was so bright it caused a white out on its right end. Never seen a rainbow you had to squint at. Beautiul day in the reservoir. 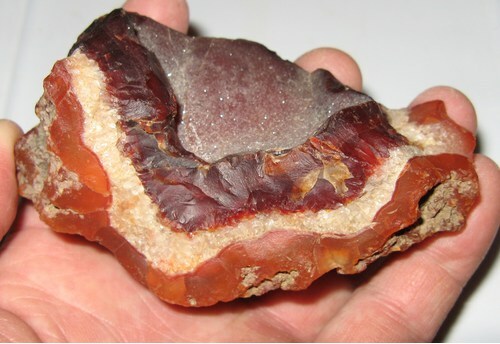 Here is a beautiful rather egg shaped piece of brecciated, orange, pink, purple, red, white, and brown agate from windfall ridge in the fall creek area. I had been waiting 2-3 years to have the gate open for logging to drive right up and pull this and about 400 more lbs out of a road cut at this location. I had to go up while log trucks were coming down but it was worth the danger to retrieve these massive agate boulders and their brecciated friends. Wheeeeheew! 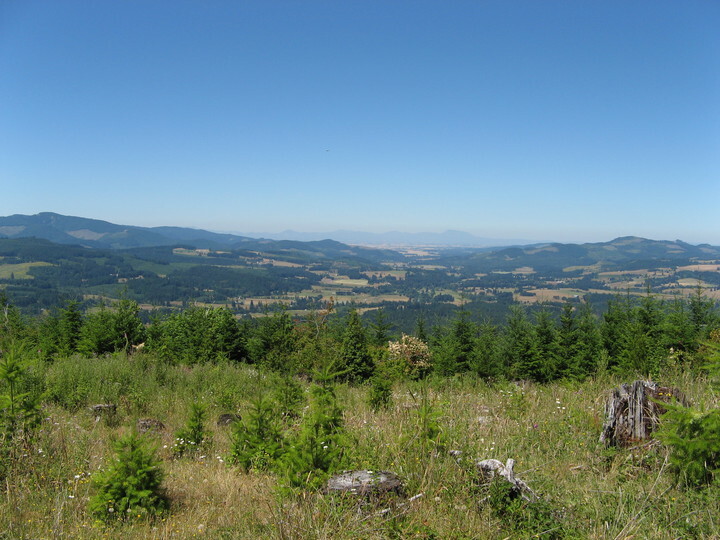 View from top of Chandle Mtn looking West over calapooya river out into Willamette Valley. 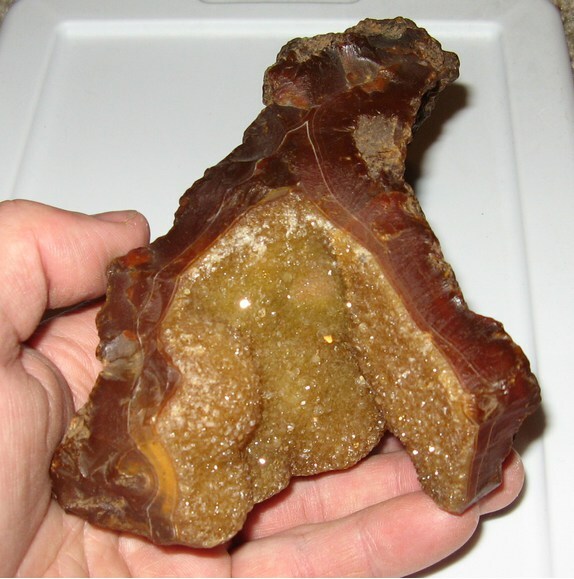 Clear agate is found at top of ridge, red agate on back side heading east. This spot can be spectacular if you go in the winter during an inversion. Often you are just at or ablove the fog line so it can be like looking over a white blanket with just a few ridges poping out. 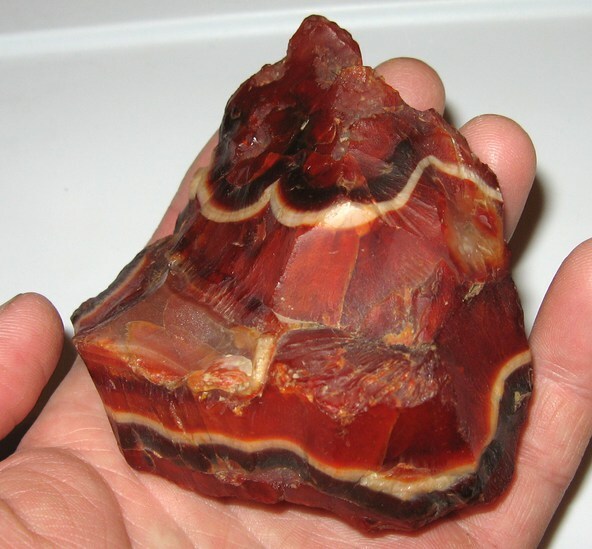 a 5"x4"x3" red & orange piece of carnelian with excellent color and clarity. 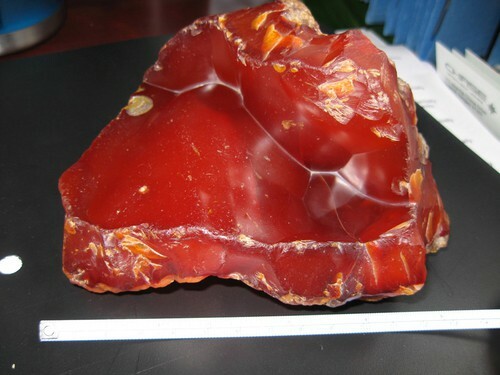 Found in October 2010.
here is a exceptional wedge shaped piece of carnelian agate measuring 3" x"2 x" 3/4" tapering down to 1/3" in thickness. 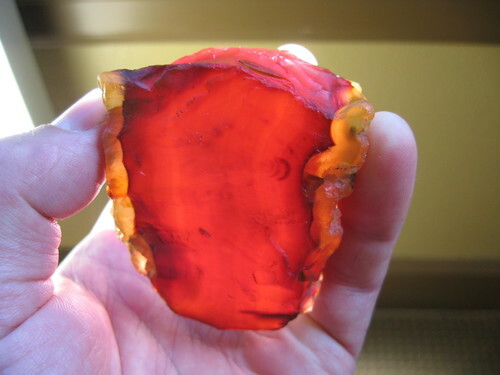 Found in 2010.Quite possibly the mose perfect shaped piece of carnelian I've found out of 10 years of digging. A legendary 6x5" piece of red carnelian with orange quartz druzy. 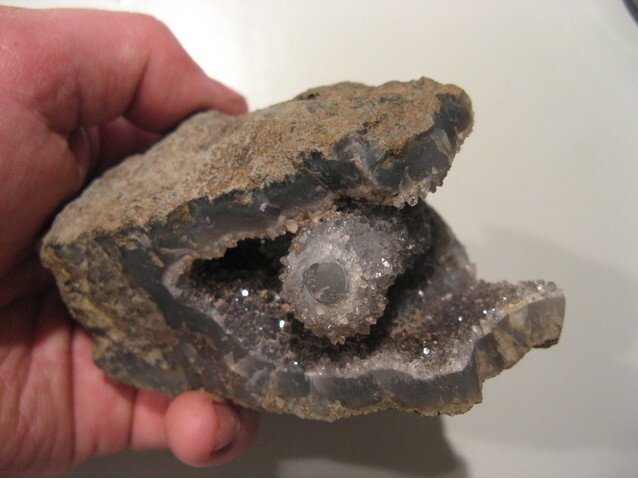 Found in 2006 at the dreaded "coyote gulch" agate bed on top of Chandler Mtn. One of the most dangerous places to collect agate in Western Oregon. A 4x2" section of altenating orange carnelian to quartz back to deep red carnelian finished off with a light druzy of quartz. Excellent color contrast with this piece. Collected in 2009 from the imfamous "salamander alley" as the tiny creek that these are dug out of is home to pacific giant salamanders that grow to 14" long. After diging out a 4 ft pit and it fills back in with water they enjoy a nice clear pool in the summer months to live. 4x5" piece of carnelian with world class color. 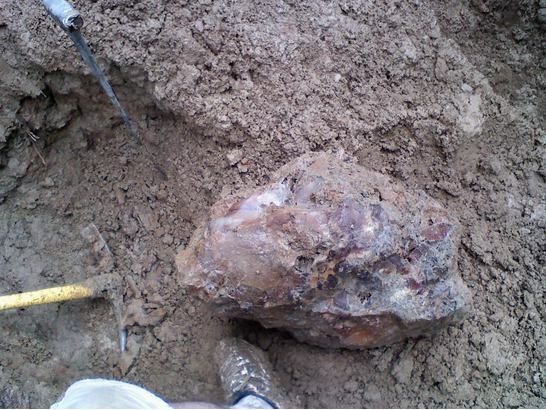 Found in 2009. This is the real deal. Found 3 ft down in creek mud in the legendary collecting site known as "salamander alley"
a 5'x4' seam agate with stalactite formation inside. Found in 2010.